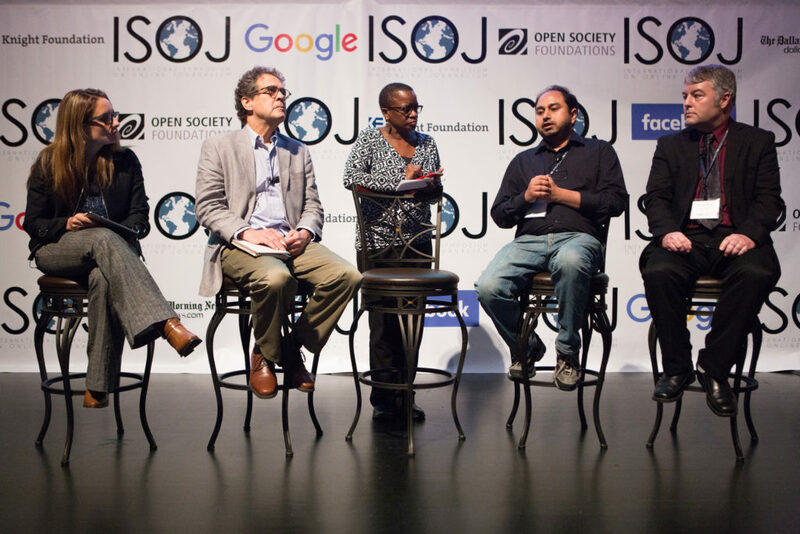 Watch video of the research panel discussion from ISOJ 2017. Kathleen McElroy, associate director of the School of Journalism at the University of Texas at Austin, chaired the research panel “Diving deep into the layers of journalism, the journalism practice and its audiences” where panelists discussed new journalism practices and strategies to build audience. 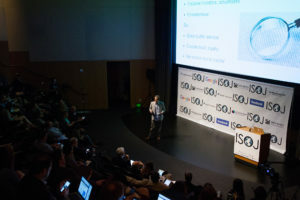 The panel took place during the second day of the 18th International Symposium on Online Journalism (ISOJ) held in Austin, Texas. Findings of the research by Aquino showed that publications in English and Portuguese were published in irregular frequencies and long-form content were common on the platform. Aquino’s main research finding was that an author’s popularity has the biggest influence on posts made in Medium. James Breiner, visiting professor at the University of Navarra in Spain, discussed the benefits of using social capital to fund journalism ventures with the paper “Social Capital to the Rescue of the Fourth Estate: A Playbook for Converting Good Will into Economic Support.” Social capital is the value connections and networks hold, he said. For independent journalism startups, social capital has been a key element in funding the organizations. Breiner looked at eight journalism start ups, De Correspondent, Mediapart, El Español, Malaysiakini, La Silla Vacía, El Diario.es, The Texas Tribune, and Nómada as examples where successful fundraising or loyal subscriptions were influenced by high social capital. “Trust is a new currency, and these news organizations are trying to provide that,” he said. A fundraising success included The Texas Tribune. Some media outlets with loyal subscription bases are Mediapart and de Correspondent. Yet, benefits from social capital are best created through collaboration and audience trust, Breiner said. “Journalism is a public service, but it’s a public service that needs to be profitable. It’s gotta be good business,” Breiner concluded. Terry Britt, PhD candidate from University of Missouri, studied how youth remember past news events with his paper, “The News of Your Youth: memory and Subjective Experience of Time During Major News Events.” By showing past videos of news events to 18-year-old to 23-year-old students the research subjects said they remembered visual cues from their youth. “People were using the memory of these news events as a kind of measuring tape of how they had changed, how their their attitudes had changed,” he said. Preliminary results of the impacts of past digital media on youth will be instrumental in documenting future changes in digital media, Britt said. Britt is currently recruiting research subjects with older generations to see if similar results appear. Researchers Pei Zheng, from Ithaca College, and Saif Shahin, from Bowling Green State University, looked at how Twitter impacted political discussions during the presidential debates and how the discussions were structured. Looking further into the camps, Zheng and Shahlin said the biggest players in the Twitter presidential debates were not from news organizations, nor organizations as a whole. Although the data only looked at tweets from three presidential debates, Zheng said the findings were relevant. The research above is available in Volume 7 of #ISOJ, the official academic journal of the symposium. Access a PDF of the papers here.